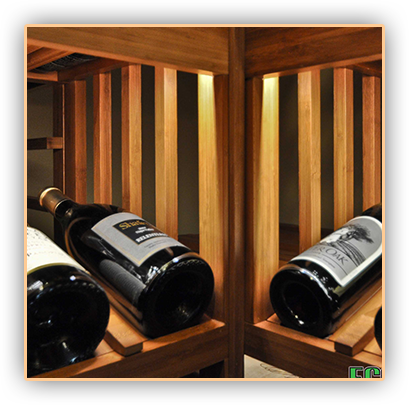 A climate control system is a crucial component of an actively cooled custom wine cellar. The presence of proper wine cellar refrigeration systems creates the best storage environment, wherein wines can develop accordingly. Chicago wine cellar refrigeration systems are specially engineered to regulate temperature range within 50 to 55 degrees Fahrenheit and maintain humidity levels between 60 and 70 percent. 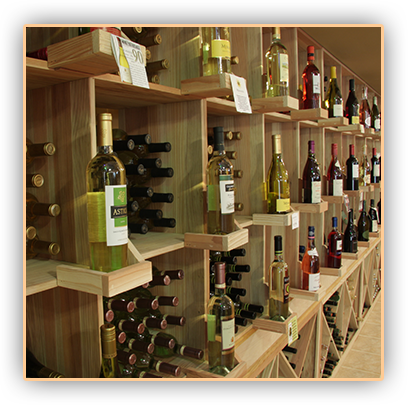 Here at Custom Wine Cellars Chicago, we offer three primary types of Chicago wine cellar refrigeration systems: self-contained units, ducted self-contained units, and split systems. Self-contained or through-the-wall units are placed between the studs of an existing wall surface. They require a well-ventilated room adjacent to the wine cellar, into which absorbed heat can be exhausted. A ducted self-contained wine cellar refrigeration unit offers installation options that helps eliminate or reduce noise. The unit can be ducted up to 25 feet from the wine cellar. 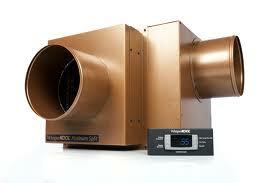 Ducting systems are used to blow cool air into the room and exhaust warm air outside of the home. 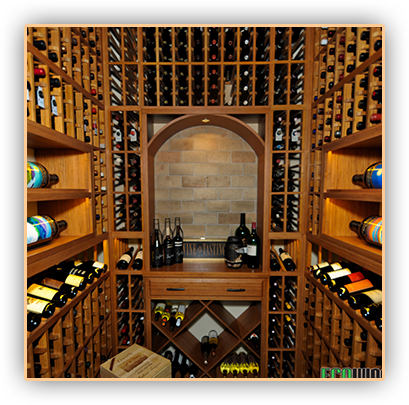 This refrigeration system is also ideal for wine collectors who do not want any visible equipment in the wine room. Split systems comprise of the evaporator and condenser. The evaporator unit is installed inside or near the wine cellar, while the condensing unit is located indoors or outdoors. There are two types of split systems: ducted split systems and ductless split systems. Ducted split systems are connected together by a line set, while a ductless split system is connected with ductwork. Although there are a number of wine cellar refrigeration brands to choose from, the most wine cellar experts highly recommend US Cellar System, CellarPro Systems, WhisperKOOL and CellarCool. 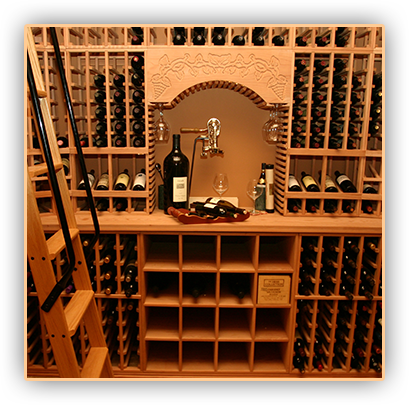 Wine cellar refrigeration systems from these manufacturers are known to be extremely efficient and very reliable, and Custom Wine Cellars Chicago has already partnered with these trusted manufacturers. US Cellar Systems offers commercial grade wine cellar refrigeration equipment that can accommodate both residential and commercial applications. They specialize in both ducted and ductless split systems. US Cellar Systems manufactures customized evaporators and condensers that can meet the unique cooling needs and requirements of each wine cellar project. They provide six different types of split systems that offer a range of installation options (e.g. wall mount, ceiling mount). CellarPro Systems are one of the quietest units in the industry. They offer a series of refrigeration systems for different applications, such as the 1800 series for wine cabinets and small wine rooms, and the VSi and VSx series for large wine storage spaces. All cooling units from CellarPro Systems feature electronic thermostats and digital displays that allow temperature monitoring inside the wine room. CellarPro cooling units come with alarms that indicate system failure or maintenance and a control panel that allows the adjustment of humidity levels. Wine cellar refrigeration systems from Whisperkool are known for their immense cooling capacity. They are the cooling unit of choice for environments that experience extreme temperature conditions. From wine cabinets to large wine rooms of up to 2000 cubic feet, Whisperkool offers a range of refrigeration equipment that can suit different cooling needs. They design a variety of cooling systems for many wine cellar applications, from ductless split systems to through-the-wall type cooling units. A CellarCool refrigeration system provides dynamic airflow through the unit’s strategically designed angled fans and louver. 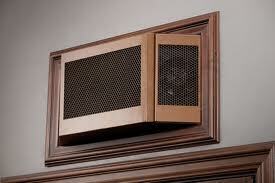 The cooling systems are built for wall mounting installation. The CX Series from CellarCool features a Heat Exchange Condensate Management System, wherein excess condensate is used as a coolant. In order for Chicago wine cellar refrigeration systems to function efficiently, proper support in the infrastructure must be in place prior to the equipment’s installation. This means that the wine cellar space must be outfitted with proper insulation and vapor barrier, and sealed with exterior grade entryway door.